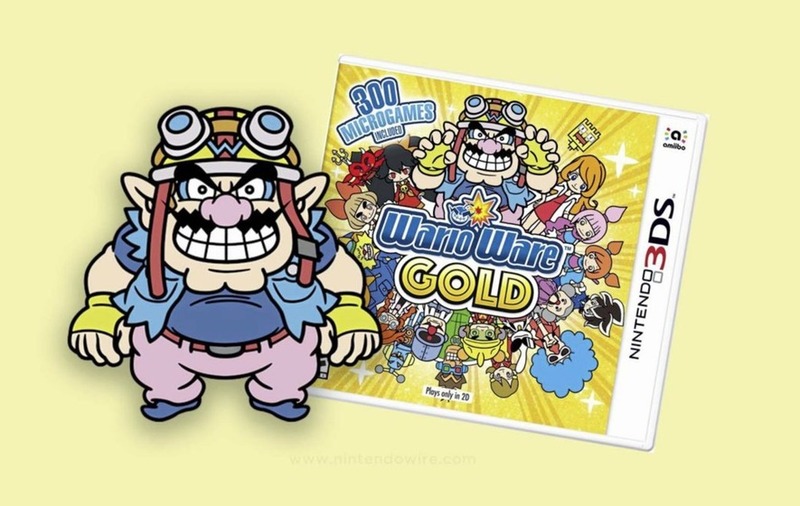 THE 3DS has been has been handsomely bulging pockets for over seven years but with the Switch taking over Nintendo's handheld mantle, WarioWare is one of the final reasons to blow the dust off the company's venerable five-incher. 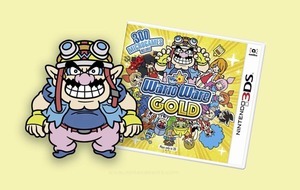 WarioWare has been serving up Japanese micro-gaming head-trips for over 15 years, and the latest is a 'best-of' compilation (think Abba Gold) that finally brings the franchise to the 3DS before it's washed for the soil. With 316 micro-games crafted by Nintendo's gold-hoarding, gas-belching anti-hero and crammed lovingly into one cartridge, Gold culls highlights from the entire series - including Twisted, which never saw the light of day in Europe due to its gyroscope containing mercury – and seasoned with new creations. Much like myself, WarioWare delivers its pleasure in five-second bursts. Each starts with a simple instruction such as “Dodge” or “Don't Move” and the player is expected to not only work out just what hell they're supposed to do in its surreal cartoon set-up, but complete the task in an increasingly tight time-frame. Fail too many and it's game over. Squeezing every drop of novelty from the 3DS' never-bettered feature set (apart from, oddly, its 3D), players mash buttons, tap touchscreens, blow microphones and tilt the entire console over a smorgasbord of absurd, hook-a-duck quality novelties that come thick and fast, dripping in sweaty excitement as you pick noses, slice fruit, protect cats from rain and hundreds of other hypnotic tasks. Beat the main game's story levels to unlock challenge mixes, which serve up random blasts of its minigames with crazy variations, such as Wario chucking obstacles in your path while playing. 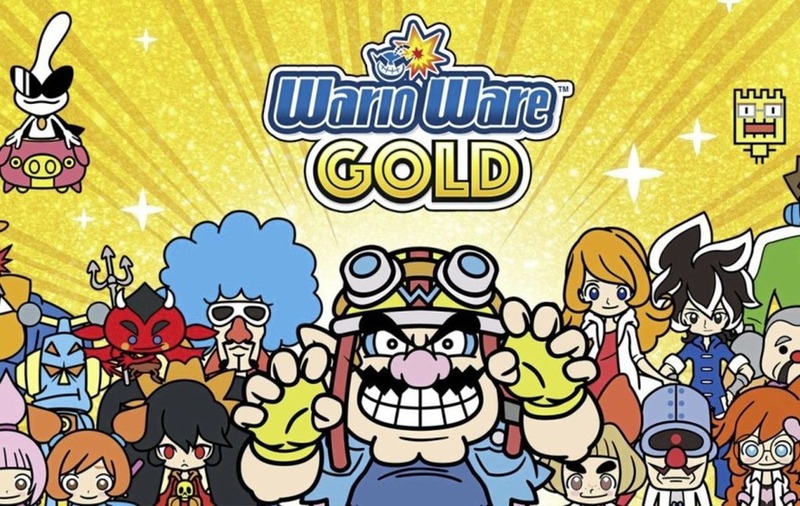 As with previous entries, WarioWare Gold is bursting with assorted electronic ephemera to unearth, and its treasure trove mixes old-school unlockables and App Store-quality filler with lengthier arcade efforts (including Mewtroid, a bizarre rip-off of Nintendo's space hit, and a motion-controlled golf sim). Best of all, Nintendo Museum takes you through a curated history of the Japanese giant. And as the first WarioWare to features full voice acting, players can even dub their own dulcet tones over the game's cutscenes. Gaming distilled to its bare components, Gold is just a joy. Part of a farewell tour (along with upcoming ports of Luigi's Mansion and Mario & Luigi) that marks the beginning of the end for Nintendo's portable, WarioWare is a pot of gold at the end of the 3DS rainbow and the kind of quick-fix, off-the-wall gaming handhelds were invented for.